As Frightfest 2018 edges closer the excitement levels rise worldwide for horror fans that will be attending this years festival. As usual it is being held in Leicester Square, London at Cineworld. 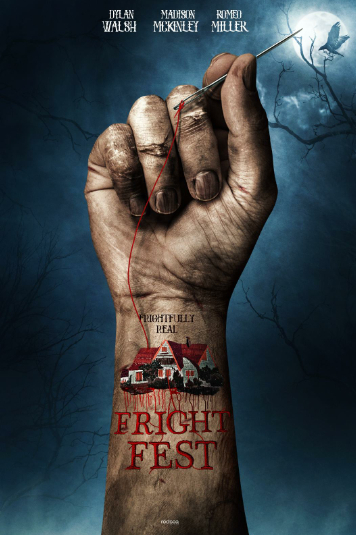 One of the many films that are showing this year is the appropriately titled FRIGHT FEST. Directed by Ante Novakovic and written By Robert Gillings the films cast includes: Dylan Walsh (Stepfather, Secretariat), Madison Mckinley (Orange is the New Black, Molly's Game), Romeo Miller (Never Heard, Game Day), Pancho Moller (31, 3 From Hell), Robert Scott Wilson, Luke Baines, Mercy Malick, Heather Ann Davis, Ashley Blankenship, Johnathan Camp, Kresh Novakovic, Michael Kupisk, Peter Patrikios. "My inspirations for the film were a collage of Horror Classics such as John Carpenter's "Christine" - the underlying angst, depth and atmospheric tension in every frame - (full disclosure I'm a huge Carpenter fan). Wes Craven's "The People Under The Staircase" - the pop of 90's primary colors mixed into the ironic circumstances of victims hidden in plain sight. Tom Holland's "Fright Night" - the innocent nature of a nightmare next door becoming all too real and too close for comfort. Finally Tobe Hooper's "The Texas Chainsaw Massacre (1974)" - the quintessential unflinching slasher horror that takes gruesome carnage to a whole new level of gore." Blood runs rampant on Halloween night when a politically ambitious Mayor from a small town - Sommerton - decides to mount a live Fright Fest within the walls of a long abandoned state asylum. He recruits a downward spiraling cult horror film director in Spencer Crowe, a man no longer capable of delivering the caliber of Horror classics he once created with ease. 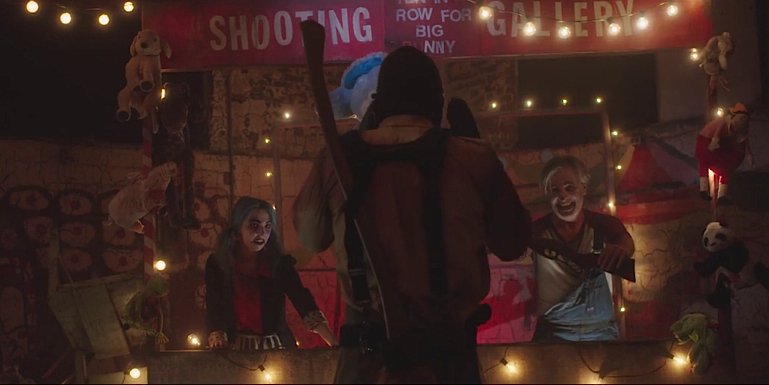 Mayor Fowler expects Crowe to put on a spectacle that no one will soon forget, only problem is a van of criminally insane prisoners crashes just outside the perimeter and the trick or treaters think their murderous acts are part of the show. Is the price of admission worth dying for? - not if you can make it out alive. Fright Fest Movie Trailer 2018 from Ante Novakovic on Vimeo. FRIGHT FEST will have its World Premiere on Saturday 25th August 2018 at the Frightfest Film Festival.